Shopping for doorstops, dishcloths, dusters and dustpans has taken on a whole new slant thanks to Labour and Wait. Another east London success story, this small shop showcases a range of ordinary, every-day household items, presenting them as timeless marvels of both form and functionality. Mixing the modern with the traditional, each item is a design classic, gently persuading you of its simple, sleek purpose in an otherwise world of bamboozling gadgetry complexity. You'll go in for a quick, curious browse, drawn inside by the calm, ordered, art-gallery aesthetic of the place, and leave reluctantly, happily owning a number of useful items you didn't realise were so pretty. 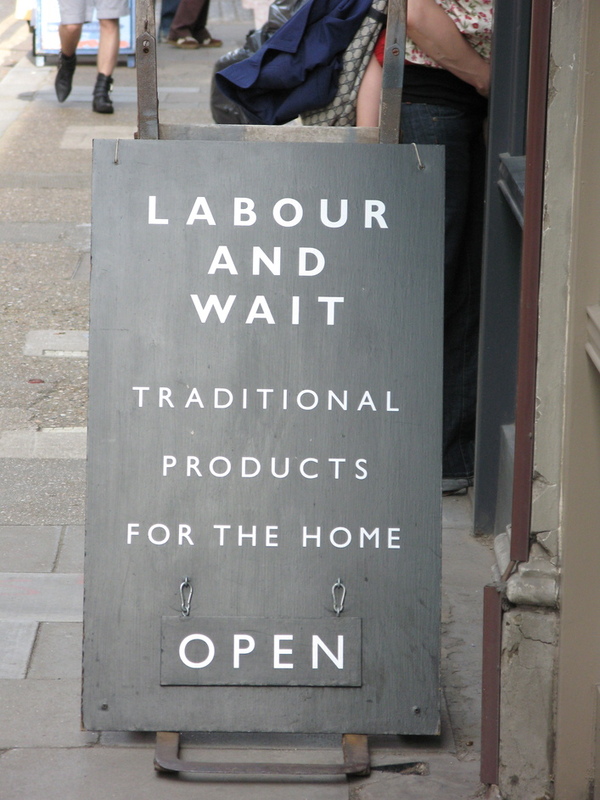 What are the best dining options near Labour and Wait London? Labour and Wait gyms, sporting activities, health & beauty and fitness. The best pubs near London Labour and Wait. Labour and Wait clubs, bars, cabaret nights, casinos and interesting nightlife. Where to have your meeting, conference, exhibition, private dining or training course near Labour and Wait. From cheap budget hotels to luxury 5 star hotels see our discounts for Labour and Wait hotels, including Courthouse Hotel Shoreditch from 80% off.